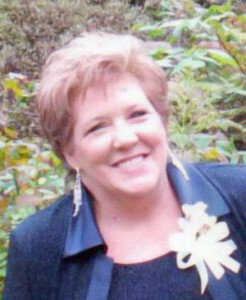 Cynthia M. Lewis, 54 of Howard City passed away Thursday, December 17, 2015. Cynthia was born August 1, 1961 in Eagle Lake, TX the daughter of John and Emily (Drymalla) Waddell. She was born and raised in Texas and had a great voice and had travelled around singing. She was very kind hearted, generous and giving. She enjoyed gardening and her flowers. She lived for her family and adored her grandchildren. Surviving are her fiance, John Rhines; children, Jacquelyn Sandoval, Jana (Dennis) Lovell, Robert Wesley (Nicole) Lewis, Nora (Gary) Jacobson, Raymond (Cassie) Lewis, James (Kelsey) Lewis, Jessica Lewis and fiance, Nolan Rau; stepchildren, Alicia, Angie, Sonya, Darcy and Brandon; several grandchildren; mother, Emily Waddell; brother, Larry Waddell; many other family and friends. She was preceded in death by her husband, Bruce Lewis, brother, Daniel Waddell and father, John Waddell. The family greeted friends Sunday, Dec. 20 at the Bliss-Witters & Pike Funeral Home, Cedar Springs where the service was held Monday. Pastor Chad Wight officiating. Interment Spencer Mills Cemetery. Memorials may be made to the family to help with expenses.